U.S. 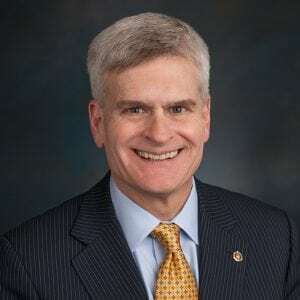 Senator Bill Cassidy, M.D. (R-LA), questioned a U.S. Bureau of Land Management (BLM) official today during a Senate Energy and Natural Resources Committee subcommittee hearing regarding his legislation, the Lake Bistineau Land Title Stability Act (S. 1219), which would clarify the ownership of roughly 200 acres of land near Lake Bistineau in Louisiana that is currently occupied by more than 100 private landowners. In 1842, the U.S. government approved an 1838 original survey of lands in Louisiana. Based on this survey, the state transferred 7,000 acres of land around Lake Bisteneau to the Bossier Levee District in 1901, which then conveyed the land to private ownership three years later. In 1967, BLM resurveyed this land and declared a new boundary line in a notice in the Federal Register in 1969, but the agency did not notify all affected landowners of its claim to the lands or file its claim in local property records. After private landowners initiated an inquiry in 2013, BLM maintained its claim on the lands based on the results of the 1967 survey. Cassidy’s bill would make the 1842 survey of lands the survey of record by voiding the 1967 survey, nullifying the legal effect of any future land survey of the affected areas, and preventing the federal government from claiming the land in the future. U.S. Representative Mike Johnson introduced companion legislation in the House (H.R. 3392). The legislation is supported by landowners in affected the area (Lewis, Hollingsworth, Vogel),Louisiana Attorney General Jeff Landry, the Louisiana Landowners Association, and the National Association of Royalty Owners. Key excerpts of Cassidy’s remarks are transcribed below. CASSIDY: In 1842, this was the land that was conveyed, in the green shading, to the state, based upon the 1842 survey. And that’s just a fact. And I think that the complication here that you referred to is that based upon that, the state conveyed it to the Bossier Parish Levee Board, subsequently they made some of this available for public commerce, and all these lots are homes. Now, here’s the 1967 survey in which the federal government then suggests that it has ownership of land which in 1842 was given to the state. So it is complicated. But at some point the federal government has to be good to its word, and can’t 142 years later say, “oops, we have a mulligan,” because obviously we have all these people who have invested perhaps life savings in a home.